Cannabis Community Care and Research Network, a state public benefit corporation in the cannabis industry, is moving to Worcester. The organization said Friday it's moving to the city to better serve the industry, healthcare providers, patients and recreational customers. "C3RN is excited to move our headquarters to Worcester," said Marion McNabb, CEO of C3RN. "This strategic move will allow C3RN to work more closely with our partners in Central and Western Massachusetts to expand our cannabis research, community health, and education services within the industry." The organization did not say when it would be moving or where its headquarters would be. The move follows suit with the Cannabis Control Commission, the state's cannabis industry regulatory body, which is planning to move into Union Station. Simultaneous to the Worcester announcement, C3RN announced the preliminary results from an ongoing cannabis science study. Among 1,325 Massachusetts respondents, 33 percent said they used cannabis most commonly for pain, followed by 26 percent for anxiety and 14 percent for depression. Sixty-three percent of survey respondents said cannabis products helped to reduce their intake of prescription medicine. The most common type of medications included antidepressants (24 percent), narcotics or opioids (15 percent), muscle relaxers (14 percent) and non-opioid analgesics (16 percent). When asked if cannabis helped deal with physical symptoms, 65 percent said it did. Another 71 percent said it helped with psychological problems and 75 percent said it just helped with their overall quality of life. A peer-reviewed manuscript with more data is being developed by C3RN and UMass Dartmouth for submission to a scientific journal. C3RN will present this data and host workshops at the Harvest Cup at the DCU Center on Sunday. SPRINGFIELD -- An online headquarters of marijuana insights, discussions and research is scheduled to launch today by a Somerville industry advocate and consultant. The website was spearheaded by the Cannabis Community Care and Research Network (C3RN). The site will provide information about research, analysis, consulting, marketing, products and events, the website said. Membership tiers are platinum, $500 a month, gold, $250 a month, silver, $75 a month, community advocate, $5 a month, and community partner for free, the website said. Holyoke, MA – October 19, 2018 - Cannabis Community Care and Research Network (C3RN) is pleased to announce on October 18th that the team was selected as a qualified vendor for the first state-wide social equity program. C3RN wrote a proposal to work Holyoke Community College (HCC) and the City of Holyoke to develop cannabis workforce training programs for Holyoke and the surrounding regions, funded by the Massachusetts Cannabis Control Commission. The project scope, collaborative partnerships, timelines, and next steps are subject to further negotiations with the Cannabis Control Commission. C3RN, HCC, and the City of Holyoke proposed to design a pilot model workforce training and competency-based internship/apprenticeship program for four entry-to mid-level occupations to meet the growing cannabis workforce needs in Holyoke and the Region. This model cannabis education-to-employment program will build on HCC and the City of Holyoke’s efforts to revitalize the city and surrounding areas and will bring the highest-level of evidence-based education to the workforce. Holyoke is one of the first industrially planned Cities in the country, boasting a municipally-owned Gas & Electric Company that provides some of the cheapest electric rates in Massachusetts and New England, primarily from its hydroelectric resources. Affordable and plentiful water and mill real estate complement the City's attractive profile for this activity. City residents and municipal government have enthusiastically embraced the cannabis industry as an economic cluster and have seen early success by attracting and permitting companies that will grow, process and sell cannabis products. An integral part of ensuring the success of these companies and growth of the Holyoke and surrounding economies, the team proposed to develop four comprehensive training, internship, and apprenticeship programs for emerging cannabis occupations. The proposed C3RN/HCC training and internship/apprenticeship certificate program will be designed for cost-effective and sustainable scale to all of Massachusetts and other community colleges with a focus of highlighting inclusion for all, celebrating diversity, and promoting equity – including prioritizing the 29 cities of disproportionate impact as defined by the CCC. Massachusetts has also prioritized the 29 “Gateway Cities” – those with a need to revitalize industries. “We are hopeful the training models produced in this project will have wide, culturally relevant, lasting, and technically sound impacts on addressing stigma against cannabis use in Massachusetts, the U.S., and globally.” said Dr. Marion McNabb, DrPH, MPH, CEO of C3RN. This new-to-Massachusetts industry provides employment opportunities especially for those communities with high levels of poverty and unemployment. The team hopes to be the leaders in setting the standard for certificate training and innovative models of bringing those who have operated in the industry for decades into the new, legal and regulated market. “The goal of this one-year pilot program will be to train and link students to employment opportunities for those from Holyoke and greater Western Massachusetts,” said Jeff Hayden, Vice President of Business and Community Services at Holyoke Community College. “The purpose of this two-pronged training is to help individuals get placed in a job and to find long-term career pathways.” Hayden added that there will not be any cannabis or cannabis products on the HCC campus or on any of its off-campus sites where training may take place. There is also a clear need for restorative justice in the emerging cannabis industry – ensuring those who have worked in this industry for decades have meaningful leadership and pathways for employment and entrepreneurship. “One of the most exciting parts of this collaboration is a “Cannabis Life Credit” program that prioritizes access and ‘transfer’ credits for individuals that have prior convictions, experience, or expertise in any aspect of the cannabis industry. We hope to fast track those operating in the unregulated market to the new legal, regulated industry with pride and respect for the deep expertise that lies there. It’s time for a new era of cannabis justice, and we are honored to play a role in making that happen.”, said Randal MacCaffrie, Co-founder of C3RN and Chief Vision Officer. Future plans for the project and collaboration with other social equity training vendors selected will be dependent on next steps identified by the Cannabis Control Commission. Do you want to continue to stay updated and support cannabis research, science, evidence-based, and collaborative education? Join our Massachusetts State-approved group of like-minded businesses, academics, healthcare providers, consumers, and patients all committed to open change through education! Here are some ways to take action and join! www.cannacenterofexcellence.org/membership. Anyone interested in joining the program or in advancing evidence-based cannabis education to develop a strong, safe, and regulated cannabis industry visit www.cannacenterofexcellence.org/membership to become a C3RN/HCC partner. Full services will launch on November 1, 2018. Cannabis Community Care and Research Network (C3RN) is a woman-owned public benefit corporation based out of Somerville, MA formed in January 2017 with the goal of advancing the science, education, and research around adult-use and medical cannabis in the Commonwealth of Massachusetts. The overall goal of C3RN's work is to break down silos and advance the evidence-base by connecting stakeholders to educate, share best practices, change healthcare and research paradigms, and promote restorative justice for those who have disproportionately affected by the drug war in Massachusetts and beyond. C3RN specializes in designing, monitoring, and evaluating models of medicinal and adult-use cannabis to break stigma, positively impact social, clinical, and public health outcomes. At present C3RN is operating an innovative open-data community-driven research study and orchestrating further research and related projects in the cannabis space. The company, with input from clinical research partners, designed The Anonymous Open Cannabis Consumer and Patient Survey which has been put out nationwide in partnership with the University of Massachusetts Dartmouth. On November 1, 2018 C3RN will formally launch a virtual cannabis center of excellence – an online platform for connecting with cannabis and healthcare experts, companies, academics, consumers, and patients interested in advancing cannabis science and research. By the end of this year the Cannabis Control Commission will be taking over the task of overseeing the medical marijuana program from the states Department of Public Health. Before this happens though the state has opened a public comment period to gather feedback on the design of the regulations surrounding the program. This is a very important time as this is a chance to correct some of the legislation that has hindered the program up until now. That being said, what are some suggestions for public comment you might ask? First off the biggest barrier to entry for most patients is money. Now that the CCC will be in control of the program they should theoretically be bolstered with tax money to run the program. Currently there is a 50 dollar fee to the Department of Public Health. This fee should be removed from the legislation in order to drive the cost of becoming a patient down. Another problem with the program is the difficulty of registering and navigating the website in order to receive confirmation of participation in the program. It can be a daunting task for someone who is not computer savvy. Streamlining this process by having an instant signup at the doctor's office will significantly ease the burden that current medical patients face. The Commonwealth of Massachusetts is home to a huge influx of medical tourism, meaning people from all over the world come to the state to have procedures done at the many amazing medical facilities the state. I would propose that doctors be allowed to certify patients for 1,2, or 3 month temporary certifications to people from out of state. I believe this may allow doctors to feel more secure about suggesting cannabis as an alternative therapy to medications such as opiates. Of major concern is the current regulations for pediatric care. Currently under the DPH guidelines it takes two pediatric physicians to certify a patient, Because there are so few doctors that do certify in the commonwealth this has caused and continues to cause barriers for patients that are out of time. that being said if a family is considering cannabis to treat their sick child I can assure you it is probably a life or death situation or a major health and quality of life decision. The open public comment period runs until October 29th. Electronic comment can be sent to CannabisCommission@mass.gov, so get those comments in and be the change you wish to see. A groundbreaking new study is underway to better understand why and how patients across America use medical marijuana. The anonymous survey is a first and aims to help standardize health and safety for cannabis users and improve the health of medicinal, and recreational users. Dr Marion McNabb, Public Health Doctor, CEO, and co-founder of C3RN, said: ''We're focusing on designing innovative research and education models that embrace community-level engagement and empowerment to collectively drive change. I am a 36 year old female INSA patient with multiple health issues. I get severe migraines. I was diagnosed with bipolar disorder, generalized anxiety disorder, and ptsd during my teenage years. In my twenties I was diagnosed with fibromyalgia and interstitial cystitis. After years of medicating and seeing little results I was willing to try anything new. I received my mmj license hoping it would help with panic attacks I was having on a daily basis and severe pain from fibromyalgia. The first thing I noticed was it helped my depression and I was so much happier. My panic attacks had almost disappeared. My pain had lessened to the point where I have almost completely cut out all pain medication. My migraines are controlled if I medicate at the onset. The biggest surprise I had was with the interstitial cystitis also known as painful bladder disease. It affected every aspect of my life from waking up six times a night to use the bathroom to not going anywhere during the day because I had to use the restroom constantly. I can now sleep almost completely through the night usually only getting up once. I have experimented with different forms of mmj to find out what works best for me. It was trial and error. I find that I do not like to smoke which I thought everyone else did. What works best for me are the 1:1 cbd thc options. Insas 1:1 ginger tea hard candy and fruit chews are the best. I also like the cbd and thc patches for pain which last 12 hours. INSA is the only dispensary I know that sells ground flower at such a low price. I buy the ground flower and make my own vaginal suppositories for my bladder issues. I use the vape at the onset of my migraine and that usually stops it. They have so many options it's impossible to not find something that works for you. Medical marijuana has improved the quality of my life 100%. I am happier than I have ever been and I challenge anyone who has a debilitating health issue to give it a try because it could change your life. Thank you for reading my story. 'The baseline information established here will be used to develop accessible, innovative, and evidence-based community education resources. Three centers in Massachusetts have chosen to prioritize research and evidence-based education during this pilot in order to provide the highest quality of care to their patients: INSA in Springfield and Easthampton, MA; BASK in Fairhaven, MA; and Revolutionary Clinics in Somerville and Cambridge, MA. INSA CEO Mark Zatyrka said: 'The data that C3RN presented tonight is so valuable because it immediately adds legitimacy and credibility to the fact that this plant is not only helping people but improving their quality of life in a major way. 'The scientific data also helps to discredit the stigma that still surrounds cannabis. Medical cannabis affects our communities in a major way. And I mean in a positive way. 'We hear the stories of our patients. These are real people dealing with really tough ailments in difficult situations. Data is made up of numbers, but those numbers are made up of real people. Those patients who benefit from this plant, their lives are changed forever'. Those that take the survey will immediately see their results compared to Massachusetts and national findings, receive dispensary discounts. 'Participating in our survey is the first step that anybody can take in changing the stigma of Cannabis use,' Dr Shields states. 'Ultimately, the data produced will help provide specialized care for the entire community of patients. This in turn should empower the cannabis industry to reach towards a higher level of education and implementation of best practices. The results of the survey will be presented on September 23, 2018 at the final event of the 2018 C3RN Cannabis Science, Education, and Networking Series, which will be held in Boston. 29 Aug 2018 10:02 AM | C.
In a recent release, Dr. Matthew Roman documents his method for treating autism-related self-injury with medical marijuana. He recommends inhaling 2-4 breaths every 1-2 hours with a vape pen. Orally inhaling marijuana has many advantages for this specific therapeutic use. Not only does it have a quick onset time (about 10 minutes) and allow you to slowly increase the dose (wait 10 minutes between breaths and take more as necessary), but it also has a relatively short duration of action (1-3 hours) before it fades away. The method of drug delivery is very similar to an inhaler for asthma. "While my experience is only one anecdotal data point, it is one of few out there and thus it can be used comparatively. There is nothing out there related to medical marijuana as an abortive therapy for self-injury in patients of any age with ASD." Whether you agree or disagree with the politics and stigmatization behind marijuana, what you cannot change is the fact that this is an option, right now, to try to stop someone's uncontrollable pain - not ten years from now, not twenty, today. As someone who has used self-harm extensively as a coping mechanism, I know that when you no longer need to, you feel an immediate surge in confidence and an increased trust in your own ability to become happy. When inhaling marijuana, the chemicals in the smoke are absorbed through the lungs into the bloodstream and then travel to your brain where they turn on the CB1 and CB2 receptors. These receptors, generally speaking, are in the business of identifying and stopping overstimulated brain cells. So if there's a brain cell that is firing too rapidly, the CB1 receptor is activated and sends a signal to the cell to stop firing as much. Though the exact molecular pathway cannot be traced yet, it's clear to me that it is through this effect, called "long-term depression" (don't be scared, "long-term" for cells is on the scale of milliseconds and seconds), that medical marijuana can have a beneficial abortive effect for self-harm. Overstimulation is an exponential experience. It ramps up and up and up and then once it passes an individual's threshold, every single additional sensory input is jarringly painful. Stopping this overstimulation by relaxing the brain cells parallels what I've experience. There have been many other stories of friends and families across the world who are using medical marijuana to help treat ASD, and the scientific literature is slow to keep up. One reason for this is the lack of background literature documenting the endocannabinoid system and ASD; the endocannabinoid system is more recently discovered than the other "significant" neurotransmitter systems in the brain like opioids, serotonin, and dopamine. And you need background literature to get grant funding. And you need grant funding to do anything. Until it catches up, we must continue moving forwards for now in the only way we can: anecdotally. Self-harm is an incredibly powerful coping mechanism to eliminate, because it works so well for its intended purpose. Pain is a very basic sensation that all brains prioritize over other activity so self-inflicting pain is a conscious and controlled focussing of the brain when it feels chaotic and out of control, which is also why it can be used for so many different purposes. The problem is that it causes damage, and we should strive to find coping mechanisms that don't cause us or others harm. I believe that marijuana can be very helpful for this purpose, because it can decrease the extra activity in the brain that leads to chaos that can snowball into self-harm as a coping mechanism. I didn't fully understand that I was using marijuana for this purpose when I was first exposed to it, but I did notice that I was able to completely stop some of my most harmful behaviors. As a recreational user, I was only aware that it was helping me. But now looking back, my introduction to Cannabis almost completely eliminated my most physically self-harmful behaviors. My baseline level of anxiety was vastly decreased which prevented me from reaching the critical threshold that led to self-injury. This is huge as it allows you to navigate the world with confidence and stability. When it comes to reducing self-harmful behaviors, preventative and relatively non-invasive therapeutic techniques such as music, physical activity, or Cannabis can make all the difference in someone's overall lifestyle. SPRINGFIELD -- They take pot to avoid prescription drugs. Most still prefer to smoke it. Over half use the weed to ease anxiety. Such information is part of the preliminary results from a survey about marijuana use and attitudes being done by the Cannabis Community Care and Research Network (C3RN) of Somerville and the University of Massachusetts in Dartmouth. The survey began in June and is scheduled to last through 2020, said Dr. Marion McNabb, public health doctor and CEO of C3RN. Most of the 618 survey responses are from Massachusetts residents but the survey is available globally, she said. "This survey is open for anyone in the world to participate, and honestly that is our goal -- to take this global. We have seen responses from others states popping up, but we are in the process of analyzing the data and will present more" at an event Thursday in Somerville, McNabb said in a text message. About 62 percent of the over 600 respondents in the ongoing survey said they use marijuana to reduce intake of prescription medication, she said. In Massachusetts, 17 percent of respondents were concerned about their workplace knowing they use marijuana compared to 24 percent nationally citing that as a concern, according to the early survey numbers. Preliminary survey results will be updated by the time a presentation is made Aug. 23 from noon to 6 p.m. at Revolutionary Clinics, a medical marijuana facility in Somerville, she said. "But what's cool about this approach, is if you complete the survey now, you immediately see how your responses compare to the whole: a cool immediate feedback for one who responds and might geek out about what the results will be," she said. The survey's aim is to understand consumer/patient demographics, attitudes, choices, methods of consumption and knowledge of cannabis products in legal cannabis states, while also reducing the marijuana stigma, she said. "We are looking forward to how this dynamic cannabis community information system can evolve," she said. 23 percent said they use marijuana only for health issues. After the survey, a message appears on screen that says the information shared is "100 percent anonymous" and will be used to develop resources to break the stigma of pot use and improve data. "This information will be used to build an open, fact-based and community-led information resource that promotes the safe and effective use of recreational and medical cannabis," the message said. C3RN, a marijuana industry consultant and advocate, led a forum in Holyoke May 29 on marijuana's potential to replace opioids for pain relief. Marijuana as a gateway to using other drugs? That's a myth, said a Massachusetts General Hospital physician. Aug. 29 from 3 to 8 p.m. at INSA Easthampton, a medical marijuana facility at 122 Pleasant St., Suite 144, in Easthampton. Presentation of survey data will be at 5:30 p.m.
Sept. 5 from 3 to 7 p.m. at INSA Springfield, 506 Cottage St. in Springfield. Presentation of survey data will be at 5:30 p.m.
Sept. 22, starting between 10 and 11 a.m. and running to 4 or 5 p.m. in Boston, at a location to be determined: "Cannabis Community-Led Research Symposium: Final Series Event." Others that C3RN is working with on the survey are BASK Inc., a medical marijuana facility in Fairhaven, and medical doctors Dustin Sulak and Ryan Zaklin. EASTHAMPTON -- While medical marijuana is now legal in 29 states, there's not much statistical data on the patient experience, according to a local cannabis CEO. 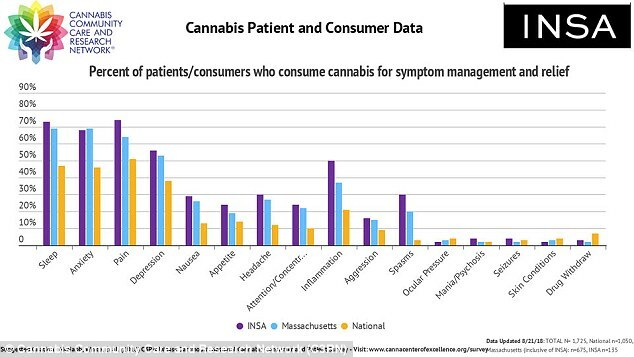 "The lack of organized research serves as a roadblock on our way to fully understanding the plant and its effects," said Mark Zatryka, CEO of INSA, which operates medical marijuana dispensaries in Easthampton and Springfield. Zatyrka said with better data on how cannabis is used medicinally, dispensaries can develop best practices and offer standardized information to patients. 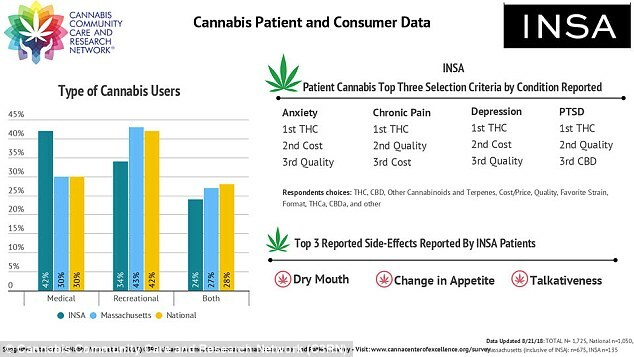 To support that effort, INSA is now partnering with the Cannabis Community Care and Research Network, known as C3RN, which has launched a longitudinal, anonymous survey of medical marijuana patients. "We are all craving more data, which is why we are behind this research effort 100 percent," said Zatyrka. The study by C3RN will look at who actually uses medical marijuana, in what form, how often, to treat what ailments, the experience of side effects, and how well the cannabis relieved symptoms. Patient participation is completely voluntary, and names will be kept anonymous, said Zatyrka. Those who participate will be offered product discounts, and be invited to attend a C3RN event in Boston. In a statement, Marion McNabb, co-founder of C3RN, said the information will be used to develop evidence-based community education resources. "Through this pilot study, C3RN, its partners, and the community hope to learn and develop accessible patient resources that drive change, reduce stigma, and raise the bar of quality in the industry," McNabb said. Sciences, Engineering, and Medicine published a study of existing evidence regarding the health effects of cannabis, and issued recommendations for more research. INSA plans a "patient appreciation day" on Sept. 5 when C3RN representatives will be in attendance, said Zatryka. The Cannabis Community Care and Research Network is an organization "with the goal of advancing the science and implementation of best practices to the industry in order to advance cannabis as a medicine," according to its website. Updated at 5:19 p.m. Tuesday, July 31, 2018 to note organizers changed the date of the unveiling of preliminary results from a national survey on marijuana use to Sept. 5 and said it will be held only in Springfield. SPRINGFIELD -- Preliminary results of a national survey of marijuana use will be discussed at the INSA Springfield medical pot dispensary Sept. 5. The Cannabis Community Care and Research Network (C3RN) of Somerville announced in June it was doing the survey with the University of Massachusetts in Dartmouth. "With the cannabis industry finding its stride in Massachusetts, the lack of accessible, evidence-based information is a major roadblock in standardizing procedures for health and safety both at the state and national level," Dr. Marion McNabb, public health doctor and CEO of C3RN, said in a statement last week. Presentations of survey results so far will be made at INSA Springfield at 506 Cottage St. here at a time to be determined. Organizers made changes from the original date of Aug. 15. Original plans also called for a presentation at INSA Easthampton but the event will be held only at the Springfield location, she said Tuesday. The survey's aim is to understand consumer/patient demographics, attitudes, choices, methods of consumption and knowledge of cannabis products in legal cannabis states, while also reducing the marijuana stigma, McNabb has said. Other medical marijuana facilities that C3RN is working with on the survey are BASK in Fairhaven and Revolutionary Clinics in Somerville and Cambridge. Also teaming up with C3RN on the project are medical doctors Dustin Sulak and Ryan Zaklin, the C3RN statement said. The national survey is the first of many studies that C3RN is pursuing to add to the data on cannabis industry, McNabb said. "We intend to highlight collective best practices that promote multi-sectoral collaboration between the cannabis industry, healthcare, academic, consumers and patient populations," she said. The survey is scheduled to last through 2020, she has said. DENVER, CO / ACCESSWIRE / July 9, 2018 / AmeriCann, Inc. (OTCQB: ACAN), an agricultural-technology company that is developing the next generation of eco-friendly state-of-the-art greenhouse cannabis cultivation and processing properties, announced today that it is leading a research pilot study in Massachusetts. The research is led by Cannabis Community Care and Research Network(C3RN) in collaboration with UMass Dartmouth. AmeriCann, through its Preferred Partner BASK, Inc. ("BASK"), is conducting research studies with C3RN who is now collaborating with the UMass Dartmouth Charlton College of Business. 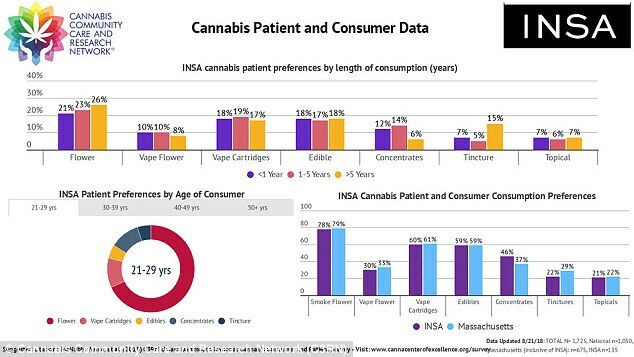 The first study launched is an anonymous national cannabis consumer and patient survey, with a focus on the Massachusetts market. Information from this national anonymous cannabis survey will be used to improve the understanding of the consumer and patient populations as the new legal adult-use markets open across the United States and in Massachusetts. 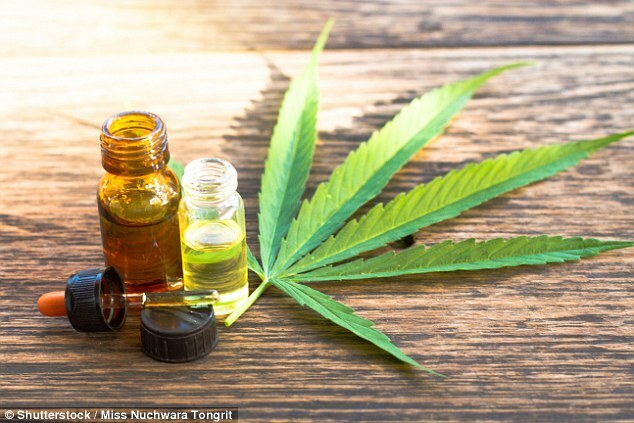 AmeriCann intends to incorporate the research finding, with a better understanding of the therapeutic benefits of cannabis, to improve product offerings including AmeriCann's Solanna line of products and will help target specific medical conditions. The survey is aimed to better understand consumer/patient demographics, attitudes, choices, methods of consumption, and knowledge of cannabis products in legal cannabis states. The study tools were designed with input from researchers at McLean Hospital/Harvard Medical School, UMass Dartmouth, and C3RN's team of researchers, data scientists, and industry experts. The study was approved by the UMass Dartmouth Institutional Review Board (IRB) and findings are planned to be published in a leading peer-reviewed journal and other leading conferences and forums. BASK is first of C3RN's study partners in Massachusetts. In addition to two other well respected Massachusetts dispensaries, C3RN is also partnering with three clinical providers for the study, Dr. Ben Caplan of the CED Foundation, Dr. Dustin Sulak, Healer.com, and Dr. Ryan Zaklin to launch the survey locally in Massachusetts. C3RN was formed in January 2017 to establish a Virtual Cannabis Center of Excellence (CoE). The virtual CoE is a global collaborative network of academics, cannabis industry, healthcare providers, and consumers/patients to advance cannabis science, research, and best practices. The overall goal of C3RN's work is to break down silos and advance open science, connect stakeholders to share best practices and research findings. C3RN is committed to uphold the scientific and ethical integrity of all studies conducted, data, and best practices housed within the virtual CoE. The Commonwealth of Massachusetts has begun awarding licenses to businesses that will provide cannabis access to consumers over 21 years of age, in addition to the existing medical cannabis market. Industry experts believe it will become the epicenter for cannabis innovation and research for the entire northeast US with annual sales of over $1 billion by 2020. AmeriCann (OTCQB: ACAN) is a publicly traded agricultural technology (Ag-Tech) company that is developing a new generation of sustainable, state-of-the-art medical cannabis cultivation and processing properties. AmeriCann, Inc. is a Certified B Corp, an acknowledgment of the Company's commitment to social and environmental ethics, transparency and accountability. AmeriCann became the first public cannabis company to earn this respected accreditation. More information about the Company is available at: www.americann.co, or follow AmeriCann on Twitter @ACANinfo. Cannabis Community Care and Research Network (C3RN) is a public benefit corporation based out of Somerville, MA that specializes in providing high-quality research and analytic services related to the impacts of medical and adult-use recreational cannabis. As a social justice-oriented research and analytics company, C3RN specializes in designing, monitoring, and evaluating models of integrating adult-use and medical cannabis to positively impact social, clinical, and public health outcomes. C3RN has over 80 years of collective experience in cannabis, healthcare, life sciences, chemistry, public health, data science, and academic research. C3RN provides cannabis and health research and data analytic services, and consulting around cultivation, extraction, life sciences, technology, and medical cannabis patient care. C3RN runs a monthly Cannabis Science, Education, and Networking series in Massachusetts to showcase the latest cannabis innovations, evidence, and best practices. For more information about C3RN's research, events, and services, please visit: www.cannaresearchnetwork.com. Contact Dr. Marion McNabb, CEO of C3RN at marion@c3researchnetwork.com for more information. AmeriCann's flagship project, The Massachusetts Medical Cannabis Center, is approved for nearly 1,000,000 square feet of medical cannabis cultivation and processing in Freetown, Massachusetts. The state-of-the-art, sustainable, greenhouse project will consist of multiple planned phases for tenants in the Massachusetts medical marijuana market. Voters in Massachusetts approved legalizing the adult use of recreational marijuana in November of 2016. The state is on track to open the first cannabis storefronts for Adult-Use by July 1, 2018, making Massachusetts the first state in the Northeast to legalize adult-use cannabis. AmeriCann's Cannopy System uniquely combines expertise from traditional horticulture, lean manufacturing, regulatory compliance and cannabis cultivation to create superior facilities and procedures. The Company is planning to replicate the Cannopy platform in additional states. SUBMIT A BLOG IDEA HERE!